Over the last year, I've been trying to become more familiar with the local lakes. I'm still pretty clueless but every now and then I learn something. 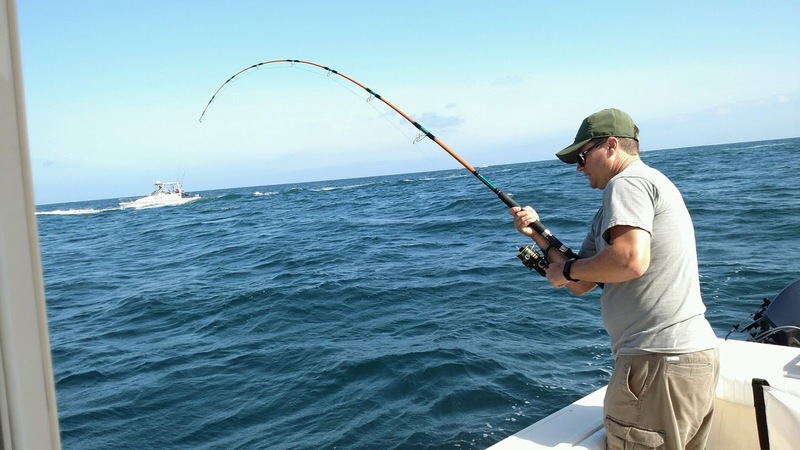 Many times a fish will swim towards your boat making it difficult to get a good hookset. I've found to counter this I make a hookset like I'm trying to yank the fish out of the water. Even doing that at times doesn't work. If you can do it, strip set. That's your best chance at getting a good hookset. In a kayak you don't have a ton unless you're anchored. Fish under a pound can't do much but a fish of substantial size can really affect your kayak. Imagine hooking a 5lb weight in a swimming pool while you're on a raft. If you pull hard on the rod the weight might move some but you will definitely move towards the weight as well. This creates a constant battle of keeping leverage while managing slack in your line. What I've found works best is to keep as much pressure on the fish as I can. This may sound crazy but I try to put so much pressure that I figure either my rod will break or the fish will come to me. It took me quite awhile to realize it doesn't take much paddling to move your kayak. I found countless times where I made an approach towards an area and I was going too fast. I wouldn't notice this until I was about to cast and I would be almost right on top of my target area. I'd have to paddle to back myself up or slow myself down which most likely spooked anything in the area. Similar to the comment above if you don't pay attention to the wind you can be pushed faster than you like. This can work out in your favor if you want to drift a certain direction. It can be good for trolling over a certain area. If you have something you really don't want to lose put a lanyard on it or something that will make it float. It is really tempting to just lay something on the edge of your boat. It just takes one unexpected wake or bump of your elbow to send that tool, knife, or rod you love into the drink. If you can only secure one thing make sure it's your paddle. If you lose your paddle on a big lake when it's windy you're going to have a rough day. If you have something in your boat that can get tangled it will. I enjoy having neat rod holders and attachments that make my kayak look cool as the next person. The problem with those things is they make casting more of a chore. I try to have as little in front of me as possible. Get a cheap collapsible waste basket to use as a stripping basket. I still have issues with this. You have better contact with your line and fly when your rod tip is down. My rod tip is usually touching or under the water when I fish. Your rod tip should always be pointing towards the fly. Especially when fishing streamers. You want to feel the resistance of the water when you strip. My hookups went up 10 to 1 after concentrating on this. When you're approaching a location make sure you have an idea of how you're going to lay your paddle down and grab things in your boat without making noise. This is a lot easier said than done. I've found laying the paddle on my lap keeps it from hitting my boat. I can also use one hand to dip the paddle in the water and help me steer. I try to keep my paddle in the water as little as possible when I'm approaching a target. 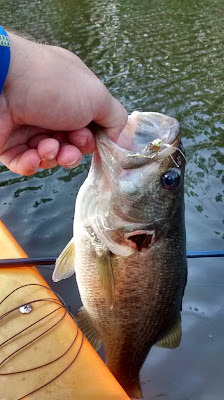 The fish don't seem to care about the kayak but they do care about the disturbance from the paddle or my casts. Hopefully, these tips can help anyone starting out. I have always hated the bulge my current wallet puts in my pocket. I don't carry that much stuff and hardly ever carry cash. Even with the small amount of things the wallet is large. Recycled Waders is a company that repurposes old fishing waders into products people can use. 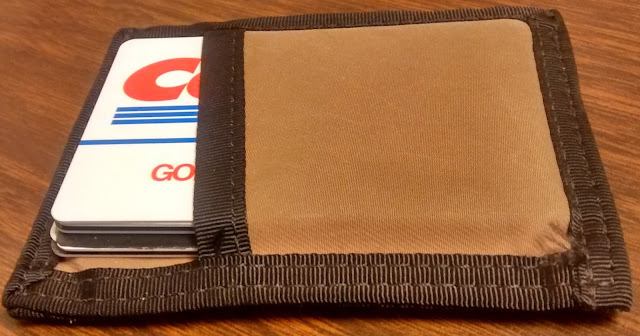 I spied their wallets a long time ago and decided to try one as a solution to my problem. 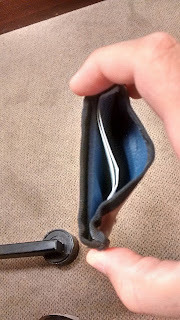 When the wallet arrived I was concerned that it might be too thin. I also wondered whether the cards would stay in the pocket. I've been using the wallet for about a month and I love it. The cards stay secure and the side pinch pouch for cash is a great feature. You can barely tell when the wallet is in my pocket. That was actually an issue at first because I kept thinking I had forgotten my wallet. After using this I can't see myself ever going back to a big bulky wallet. I'm also impressed with the build quality of the product overall. 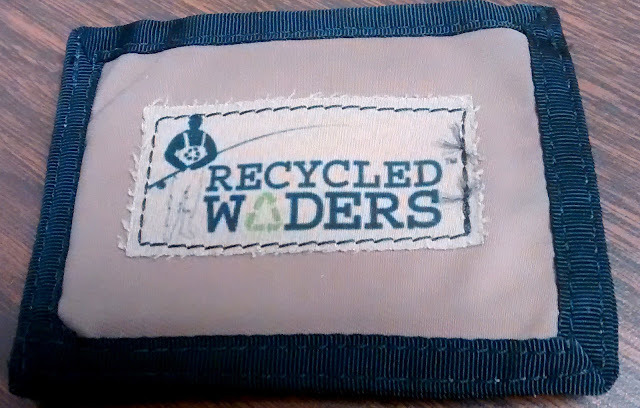 If you're looking for a wallet, small bag, or pack, check out Recycled Waders.